What happens if we imagine the Jesus of Christian theology to be realized in the nonhuman natural world around us? Basic to Christian belief is the notion that God, the creator of all, inhabited the earth in order to call to us. God of Earth embraces this central premise of Christianity - Jesus as both fully divine and fully human - and then allows for the possibility that such a Jesus need not be limited to a human man. What if Jesus were "God of earth" - not only over earth but also in and through it? As Swenson tracks that question through the cycle of a church year, she invites readers to reconsider our relationship to the nonhuman natural world and so experience new dimensions of the sacred and new possibilities for hope and healing. 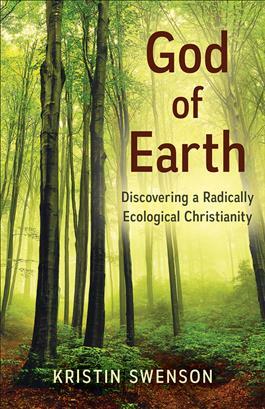 "Wonderfully penned meditations on the most basic questions that Christianity-and humanity-now face. The writing stirs, and the reflections inspire." "A seeker and visionary biblical scholar, Kristin Swenson blows past `petrified' Christian traditions to shine light on a profoundly radical new way to experience God." "Kristin Swenson invites us to gentle, perceptive meditation on the place where we live. She offers a `theology of creation' informed by a rich appeal to religious mystery, voiced in poetic imagery and cadence. Readers are offered thick attentiveness to the world in front of us."